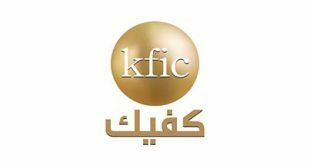 KUWAIT CITY, July 7: Kuwait Finance and Investment Company (KFIC) announced its report for June 2018 which discusses the status of local and international markets. International Economic Overview Global equity markets strengthened during the Quarter as the MSCI World Index increased by +1.09%. In developed markets, FTSE 100 index was the best performing index followed Japan’s Nikkei 225 index. Despite concerns over US international trade relations. The S&P 500 rose +2.93%. US hiring rose more than forecast in May, wages picked up and the unemployment rate matched the lowest in almost five decades, indicating the strong labor market will keep powering economic growth. In the U.K, FTSE 100 surged by +8.01% mainly due to a sharp decline in the pound, weakening against the euro and dollar. The FTSE 100 tends to rise when the sterling falls, as multinational companies on the index generate the bulk of their earnings and revenue overseas. In Europe, Germany’s DAX index and France’s CAC 40 surged by +1.73% and +3.02% respectively, as the European union announced plans on imposing tariffs on $3.2bn worth of goods imported from US, in response to US imposing respective tariffs on aluminum and steel imports from Europe. China’s Shanghai SE composite down by –10.14%. As investor concerns on an ongoing trade tensions between china and US. Slowing domestic economy has also let to concern among investors as china is easing monetary policy to support economic growth by lowering its reserve requirement ratio for banks. In Japan, Nikkei 225 increased by +3.81% investors were relieved that no new US demands on trade came out of this during the summit meeting between Japanese Prime Minister Shinzo Abe and US President Donald Trump. In commodities, Oil prices as represented by Brent reached $79.2 bb/l which rose by +16.67% and WTI closed at $74.2 bb/l rising by +15.79%. Crude climbed after an industry report was said to show the biggest drop in US crude stockpiles since September 2016. Furthermore, Iran’s position in the oil market is looking weaker than ever as a result of tightening US sanctions as the US has pressed China, India and other allies to end all imports of Iranian oil by a Nov 4 deadline. In other commodities, Gold prices declined by -5.42% as investors favored the dollar and Treasuries instead as they weighed the uncertainties surrounding the impact of a US-China trade war on global growth. GCC Economic Overview Saudi Arabia has been upgraded by MSCI to its Emerging Market (EM) index. MSCI will reclassify Saudi Arabia with implementation of its indexes starting June 2019. According to Al Rajhi Capital Co Saudi’s inclusion in MSCI will boost/prompt large global investors to invest in the Kingdom. Furthermore, MSCI announced that Kuwait will be included in its 2019 annual market classification review, potentially reclassifying it from Frontier Markets to Emerging Markets status. Kuwait’s revenues for the fiscal year ending March 31 are estimated at KD 15bn including KD 13.3bn in oil income, meanwhile Kuwait’s parliament approved state budget projected spending increase of 8% to KD 21.5bn. The government renewed forewarning that the country’s General Reserve Fund continues to be depleted. The deficit, which will be covered from state reserves, is estimated at KD 7.9bn after deducting 10% of revenue for future generation fund. UAE cabinet approved a full foreign ownership of companies and grant long term visas to investors by year-end. According to Moody’s, UAE sector outlook for banks remains stable as faster economic growth in UAE is expected to support credit growth. In Qatar, Fitch has revised Qatar’s outlook to Stable from Negative and affirmed its rating at AA-. According to Fitch, the economy reconfigured its supply chains and continues to grow at a strong pace. Oman’s government’s deficit fell to OMR 268.3mn from OMR 997.8mn a year earlier as a rise in oil prices boosted export revenues, government revenues rose by 17.2% to OMR 1.13bn. Bahrain is set to receive financial aid from GCC neighbors KSA, Kuwait, and UAE to support fiscal stability and economic reform. Earlier in July, the yield on Bahrain’s dollar-denominated bonds maturing in July 2022 rose to a record 9.26 percent in July as the absence of any signal of financial aid from Bahrain’s neighbors sent the kingdom’s credit risk rising the most in emerging markets this month. GCC Equities Review GCC equities, as measured by the MSCI GCC IMI Index Increased by +3.54% QTD. Saudi Arabia’s Tadawul Index was the top performing index, followed by Qatar QE Index. Saudi Arabia’s Tadawul index rose by +5.63% with mainly due to increases in Media +23.85%, Banks +13.48% and Telecom Services +10.97%. Kuwait’s all share index increased to +3.27% MTD, Kuwait’s Premier Market increased to 4.57% MTD and Kuwait’s Main Market surged +0.98% MTD. Dubai’s DFM index fell -9.25% with decrease in sector performance witnessed in Services -17.64%, Real Estate -15.48% and Transport -12.04%. Abu Dhabi’s ADSM index dropped -0.55% QTD with negative performance was witnessed in Finance Services & Investments -18.86%, Telecom -8.50% and Real Estate -6.42%. Qatar’s QE index increased by +3.81% with positive performance coming from Consumer +14.06%, Banks and Finance Services +12.42% and Transportation +7.45%. Oman’s MSM index fell by -4.23% with sharp declines from Industrials and Services -7.49% and -5.02% respectively. Bahrain’s BB All Share index declined by -0.56% with negative contribution coming from Banking -6.15% and Hotels & Tourism -0.68%.